In very early times, there was no night or day, and words spoken by chance could become real. When a hare and a fox meet and express their longing for light and darkness, their words are powerful enough to change the world forever. 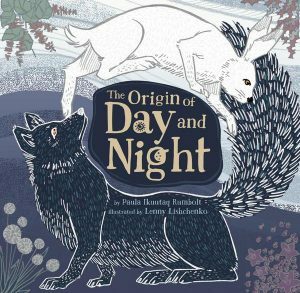 Passed orally from storyteller to storyteller for hundreds of years, this beautiful illustrated story weaves together elements of an origin story and a traditional animal tale, giving young readers a window into Inuit mythology.